Air - contiditioned sea view room with King-size bed or 2 single beds. Air – contiditioned sea view room with King-size bed, comfortable and modern furnishing, perfectly combined with the Liberty flair of the palace. 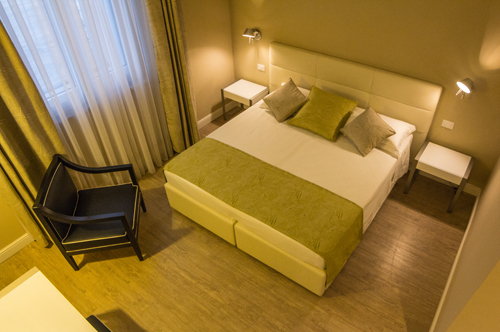 Sea front room, equipped with minibar (with still and sparkling water and a soft drink), Free wi-fi, flat screen Led TV with both Italian and international channels and Mediaset Premium with football,cinema ,series, documentaries channels and free Wi-fi internet connection. From 7:00 a.m. to 12:00 p.m. In order to confirm the reservation please send us your credit card number and expiry date as a guarantee. Hotel Universal may perform a pre-authorization for the total amount. 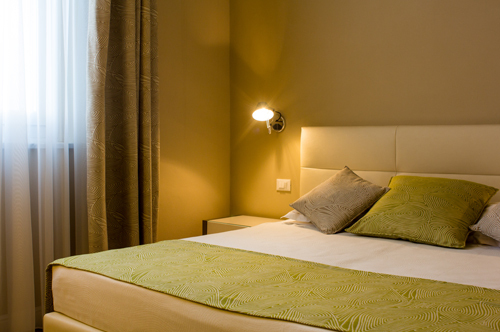 Cancellation must be received within 48 hours prior to arrival to avoid a charge of one night's room fee. In case of NO SHOW or cancellation within 48 hours prior to arrival, Hotel Universal will charge 1 night's room fee. 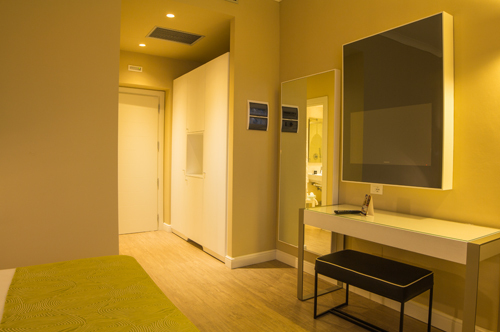 Hotel Universal remind you that SMOKING IS NOT ALLOWED in the Hotel rooms and common areas. Transgressors will be charged of one night's extra fee for decontamination of the room.